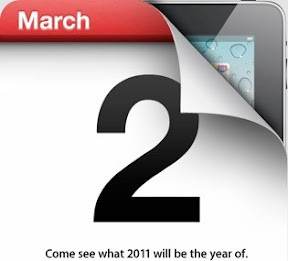 The rumors about what the iPad 2 will and won’t include continue to appear and we will have to continue to speculate and guess until next Wednesday (March 2nd) when the new tablet is expected to be revealed. While iPad fans really want the iPad 2 to be something special, it is sounding decidedly like Apple is going to unveil a new tablet that is really only a minor upgrade. Just like the iPad being a "BIG iPod Touch" turned out to be a good thing, so may these "minor" upgrades. The latest rumors hitting Engadget are that the iPad 2 is indeed thinner than its predecessor, weigh less, have a slightly faster processor (A5 chip), improved speaker and include, the much needed, RAM memory (512MB, though 1GB would be better). There’s also the must-have dual cameras for FaceTime and social media junkie… but that’s about it. The first iPod Touch had no external speaker because it was an iPod first. The second iPod Touch had a new tapered chrome back with Nike+ functionality, volume buttons, and built-in speaker added. The third IPod Touch included upgraded RAM, CPU and GPU internals from the iPhone 3GS; the 32 GB and 64 GB models include Voice Control support, VoiceOver, included OS version 3.x, and bundled remote earphones with microphone. The fourth iPod Touch featured Apple's Retina display, two cameras; one front-facing camera for FaceTime and one rear-facing camera for photos and HD video recording. It also contains Apple's A4 for faster processing, a built-in microphone, a three-axis gyroscopic sensor, the hold button was moved to the right of the iPod and it Included iOS 4.1. This gradual approach works, so we expect it to continue. Each of the above devices were fully capable of holding its own and each device drew in new customers as well as had customers who upgraded from existing devices. While each device was awesome at the time it was released, the 4th generation device is clearly a much better device than the first. 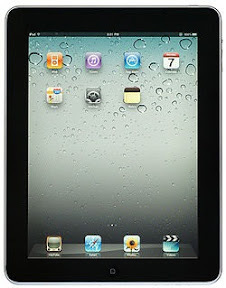 We can expect the iPad to evolve in a similar pattern. Impressive as the first iPad is, these upgrades will surely help gain new iPad owners into the fold. As competitor prepare to launch competing devices this year, everyone is looking for Apple to answer back with a device that squashes the rivals. Are these changes enough to maintain their reign in the new and expanding tablet computing arena? In a few days, the Motorola Xoom, a tablet with a 10.1-inch display that runs on Android 3.0, known as Honeycomb, is expected to appear. Other tablets that may compete with the iPad are: the Android-powered LG G-Slate, Research In Motion's BlackBerry Playbook, and the WebOS-powered Touchpad from HP. Even Samsung has announced a 10-inch Honeycomb device, but only overseas as Motorola gets to be the first Honeycomb device in the U.S. 2011 is definitely the year of the Tablet and Apple wants to stay ahead of the race. But expectations of a higher resolution display (not that this is really needed in my opinion), a SD card slot or an USB slot most likely be met with disappointment. The iPad 2 is looking like a revision to catch up the iPad features already existing on other Apple devices rather than an completely overhaul the iPad. Engadget claims the sources telling them about iPad 2 have been very reliable in the past, so they don’t doubt what’s being said. The lack of new features is also being explained as linked to some engineering problems. If that’s the case, it looks as though Apple has chosen to discard new features to meet their deadline. But does the new iPad need these things? Should the iPad be a independent computing device or should it continue to be a complimentary device to a desktop or laptop computer? Should it have ports available on the device directly or should Apple continue with the approach to have aftermarket accessories to provide these features. Do they need to squash the competition? Not really. The market for the tablet is huge. There are millions of potential customers yet to discover the joys of a tablet computer. While true, Apple still wants to maintain their leadership in the market and use their innovation to gain the lion's share of the customers and their money. The truth of the matter is that the rumored changes will be significant enough to satisfy those customers on the fence; however, it may not be enough to sway many existing customers to upgrade. Adding more internal storage may however be enough to get existing customers to upgrade to the next iPad device and quench their technological thirst. Upping the disk space from 16GB, 32GB and 64GB models to 32GB, 64GB and 128GB (or higher) models would get me to buy again. The competing tablet have some appealing features, but they mostly max out disk space at 32GB. This is a huge mistake for the competition as disk space will prove to be weakest link in their devices. Of course Apple will continue to give the competition some leverage by continuing their ban on Flash (the motion and video player used on many websites). Of course, nothing is confirmed and everything is just rumors at the moment. Apple could surprise everyone with something that really will blow the competition away and force even current owners to open their wallets again. I just hope people aren’t building themselves up too much. We don’t want any tears next week. What are your expectations from the next iPad device? What would be needed to get you to upgrade?